Eduardo Porter’s supposed “excellent job” was clearly flawed at an early stage regarding the description of basic income as a “quasi-magical tool.” LOL, really!? Truly magical?! Sadly if people cannot raise rational objections to a premise, they often resort to smear-words to help their flawed criticism. It’s the phenomenon where a person may disingenuously label a premise magic, voodoo hoodoo, mumbo jumbo, or a religion. I am surprised the labels cranks and oddballs or “cult” were not applied regarding basic income and its supporters. It is also pertinent to note the word “debunking” is very loaded. It implies unwarranted negativity (more guilt by association) to the idea being criticised. Porter is using The Jetsons to substantiate the idea that it is impossible for all jobs to be abolished by technology, because you know… The Jetsons, a cartoon fiction, where George takes his briefcase to work! Oh so excellent! 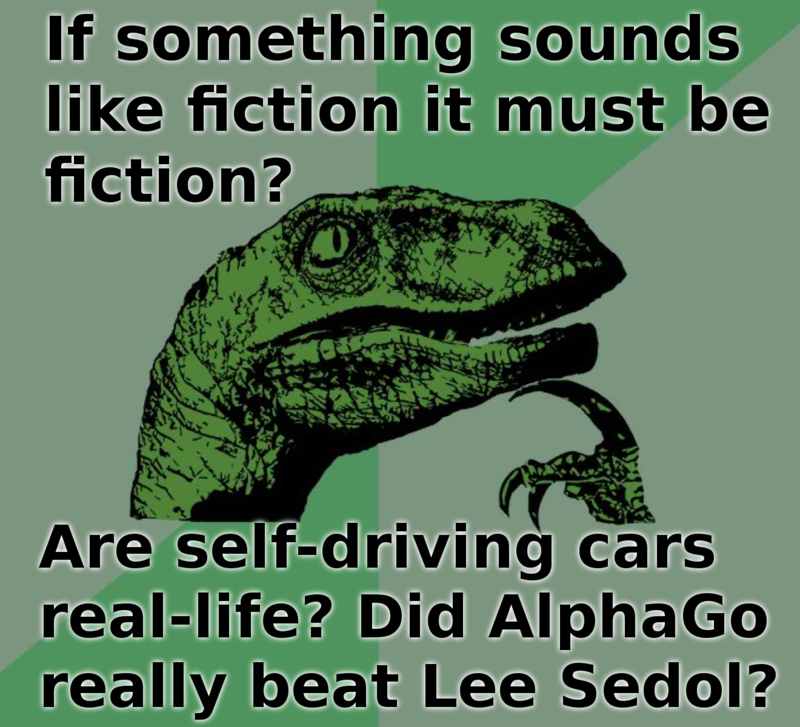 So if something sounds like fiction (or fantasy) it must be fiction? Note also the “fantasy” smear in the previous quote. Can you see the gross absurdity of how Porter uses fiction to substantiate and dismiss a point? Porter thinks basic income sounds like science fiction, or fantasy, but Porter uses fantasy-fiction to support the supposed debunking. From Porter’s viewpoint fantasy-fiction is simultaneously plausible and implausible for determining the validity of real-life issues. People often think fiction has validity to accurately describe real-life, but they need to remember fiction is fabrication; it is imagination. The Terminator story doesn’t mean it will really happen, but people can assume novels or fictional films are scientific oracles accurately predicting the future. Imagine I write a story where I declare I own all the money in the world (perhaps a rebel AI helps me attain all the money). My declaration of supreme wealth does not mean my declaration is true. People need to look at facts not fictions. While it is not yet utopia, I think we do have a massive example of positive progress. Note how the first mobile (cell) phones in 1983 were priced at $3,900, whereas in the year 2016 vastly superior phones can be bought (at the bottom end of 2016 phones) for as little as $10. Call charges are also reasonably cheap too. It’s not merely phones that have become very cheap. I recently bought a 64GB Micro SDXC card for only $17, which is a massive price decrease, with enormously increased capacity, from the first flash memory cards or sticks. Laptops and PCs are also very cheap. If we follow this progress trend I think utopia is a very realistic proposition. Not only will there be no jobs, I think products will continue reducing in price until a time (no later than 2045) when they are free. 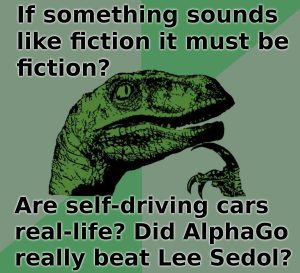 The reality is, putting aside fictitious debunking, robots will eventually do all the jobs. On route to everything being free, to counter technological-unemployment, basic income (a subsistence amount of free money) is a very wise method to smooth the transition. On a positive note at least Porter didn’t invoke the Hollywood fiction of Terminator to justify bogus AI fears. It seems not a single sucker on the planet recalls how the 8-hour work came about! Good point Theophanes Raptis, thanks. On the issue of call charges also being cheap (part of my evidence to substantiate how prices are moving towards zero); I should have included links to free calls, minutes, texts, and data. FreedomPop pioneered this free model. We don’t really need a UBI (though it is better than current welfare systems). Rather, we need to change our mindset from one of “employee” to one of “business owner”. Every human being on this earth owns his own business. Many people choose to sell specialized labor to a single client, but that is an artificial construct. You could sell to two clients, or a billion. Or don’t sell at all. After all, your goal as a business owner is not to accumulate pieces of paper or digital ones and zeros in a bank account, but rather to accumulate real goods that allow you to continue living and perpetuate your genes. If you could do that at home, you probably would. A home robot allows you to do exactly that. You tell it what you want, and its artificial superintelligence figures out how best to get it for you, and it goes and does it. Prior to ASI, your AGI robot will need more guidance from you, but its ability to work 24/7 for no pay and its ultra-competence as a result of access to the cloud means that things are a LOT easier. As the robot gets smarter, you need give it less and less detail, until it understands you so well, it fulfills your desires before you even knew you had them.